Warning: there is no way to completely cover your movements online. The only way to be sure is to use a completely different computer, either at a local library, internet cafe, at a friend’s house or at work. Domestic abuse is very common, with one in four women experiencing it in their lifetime and around one in nine women experiencing it annually. Although less than half of all incidents are ever reported to the Police, a call about domestic abuse is received by the Police throughout the UK at a rate of one a minute. Women are most often the victims of domestic abuse but men can also be victims. Domestic abuse happens in straight, gay and transgender relationships between people of all cultures, religions, nationalities and financial backgrounds. Some people are especially vulnerable of domestic abuse but men can also be victims. Domestic abuse happens in straight, gay and transgender relationships and in relationships between people of all cultures, religions, nationalities and financial backgrounds. Some people are especially vulnerable due to an existing disability or illness whilst others become more vulnerable as their health – both mental and physical – deteriorates as a result of the abuse. controlling behaviour is a range of acts designed to make a person subordinate and/or dependent by isolating them from sources of support, exploiting their resources and capacities for personal gain, depriving them of the means needed for an independence, resistance and escape and regulating their everyday behaviour. A forced marriage is where one or both people do not (or in cases of people with learning disabilities, cannot) consent to the marriage and pressure or abuse is used. It is appalling and indefensible practice and is recognised in the UK as a form of violence against woman and men, domestic/child abuse and is serious abuse of human rights. The pressure put on people to marry against their will can be physical (including threats, actual physical violence and sexual violence) or emotional and psychological (for example, when someone is made to feel like they’re bringing shame on their family). Financial abuse (taking your wages or giving you money) can also be a factor. Female genital mutilation (FGM), also referred to as ‘cutting’, generally describes the partial or total removal of the external female genitalia for non-medical reasons. It is a form of abuse designed to constrain and control a woman’s sexuality. FGM is against the law. FGM is a global practice and happens all over the world. Practising communities originate from parts of the Middle East, Asia and Africa. FGM is a crime in the UK. It’s also illegal to take a British national or permanent resident abroad for FGM or to help facilitate this. The maximum sentence for carrying out, or facilitating FGM is 14 years in prison. FGM is recognised internationally as a gross violation of human rights of girls and women. The Police service in England and Wales now have the new powers to protect victims of Domestic abuse. 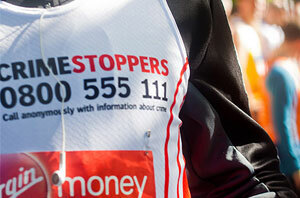 Domestic violence protection orders (DVPOs) enable the police and magistrates to put in place protection in the immediate aftermath of a domestic violence incident. 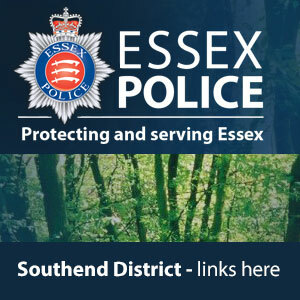 Southend, Thurrock and Essex have joined together to assist partnerships and agencies across Greater Essex to deliver appropriate and joined up responses to those affected by domestic abuse. Working in partnership with the Office of the Essex Police and Crime Commissioner and a range of other agencies a new strategy has been put in place to tackle the complex issues that lead to domestic abuse. This strategy is supported by a Southend-on-Sea action plan, which is constantly being updated and delivered by the Southend Domestic Abuse Strategy Group. The Southend Domestic Abuse Strategy Group is a multi-agency partnership, bringing together key organisations from the across Borough to coordinate the local response to domestic abuse. 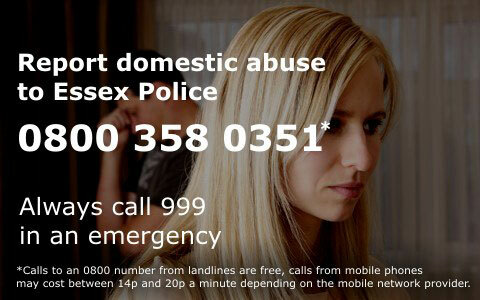 Southend, Thurrock and Essex have launched a domestic abuse campaign highlighting the support available to victims in Greater Essex. Children: Tel 01702 343868, Drop-in: appointments arranged by telephone. Based at Fledgings Child and Family Centre.